Bedtime stories are an evening ritual that can transport children and adults alike to lands of fantasy, adventure, and mystery. But increasingly busy family schedules and the demands of work are encroaching on this tradition. To solve that quandry, BC student Justin Gregorius teamed up with his older brother Brian to create “StoryTime,” an app that enables parents or other loved ones to read to their child from anywhere in the world. 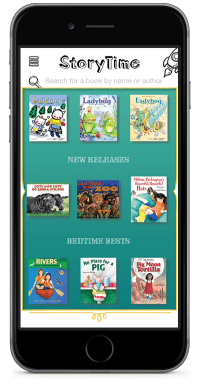 The subscription-based children’s book platform provides unlimited access to a library of more than 3,000 books, suitable for ages birth to 12. StoryTime won the Bronze “One to Watch” award in the international Reimagine Education Competition, which focuses on innovative methods and technology to enhance learning. Read more from BC News. This entry was posted in Awards/Honors, Students and tagged reading, technology. Bookmark the permalink.